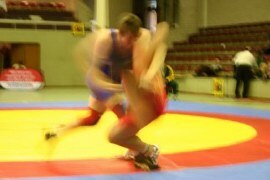 FILA approved wrestling mat are the only mats accepted at major tournaments such as olympic games, world championships, Etc. Safety is the most important thing on any sport, using an official approved mat offers great protection and reduces risk of injuries. Made of 2" thick (5cm.) high density foam which provide maximum impact absorption. Each regulation area has 72 single mats (1mx2m). 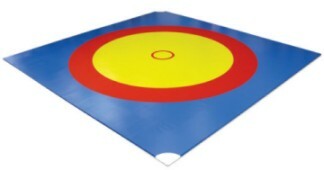 The wrestling mat is covered with an antislip and static electricity proof PVC cover. Color: Royal Blue w/ yellow circle.. In stock !! Our standard wrestling mats are manufactured using the same technology as our FILA approved mat. This mat offers the option of having a FILA regulation cover or any color combination as requested.